The Air Accident Investigation Branch has said it is unlikely to return to the site of the stricken plane which crashed into the Channel last month, carrying Pilot David Ibbotson and footballer Emiliano Sala. While Mr Sala's body has been recovered from the wreck of the Piper Malibu, which is lying on the sea bed north west of Alderney, there has been no trace found yet of Mr Ibbotson. His family have raised almost £200,000 to try and fund a private search to 'bring him home', with backing from numerous members of the public and footballers including Kylian Mbappé and Gary Lineker, who donated £27,000 and £1,000 respectively. Speaking on Good Morning Britain yesterday, Mr Ibbotson's daughter Danielle said her father would not give up looking for her if she was missing, so she would not give up on him. 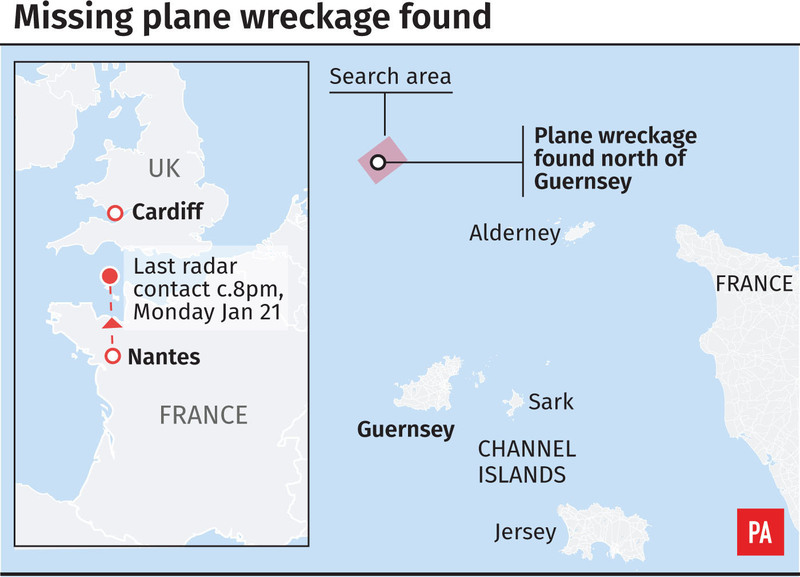 The official investigation into the cause of the accident, which happened during the evening of Monday 21 January, as the pair flew from Nantes to Cardiff, is being carried out by the AAIB. Pictured: Part of the plane was found at the bottom of the Channel and Emiliano Sala's body was still on board it. While Mr Ibbotson is still considered a missing person, the formal enquiries into Mr Sala's death are continuing. The hearing was held at Bournemouth Town Hall, without any members of Mr Sala’s family there. The inquest was then adjourned until November.